Wow !! 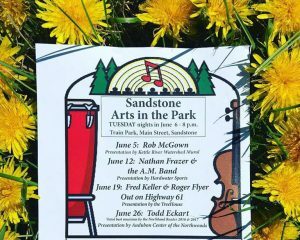 We have it here in Sandstone Minnesota. 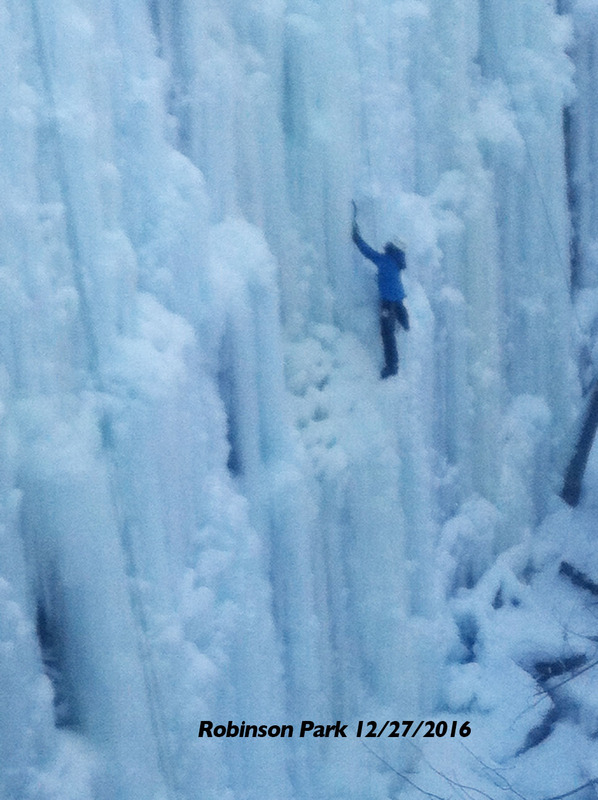 We have a nationally recognized, man-made ice climbing park right in the town of Sandstone. 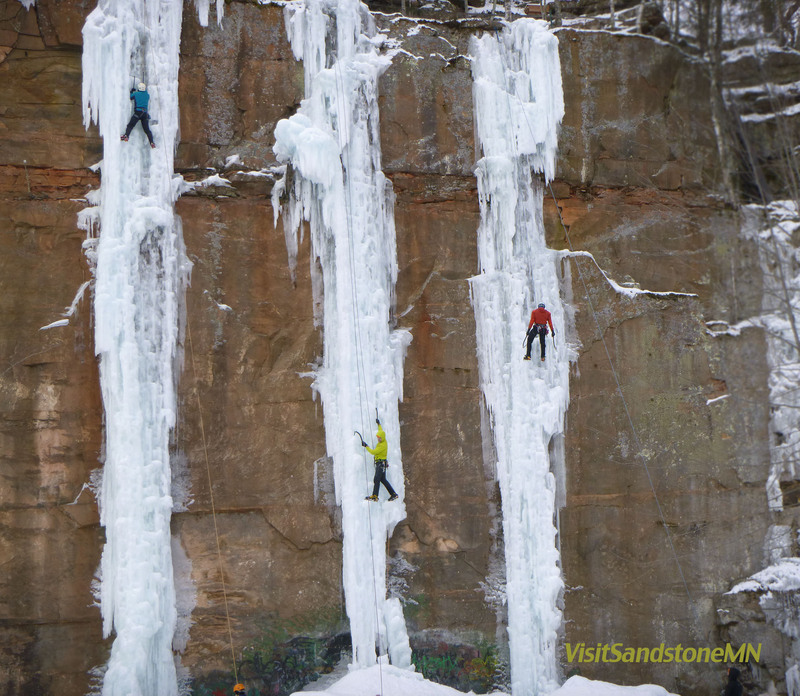 Know for fat ice and thin mixed routs, the Sandstone Ice Park brings in climbers from across the U.S. and Canada. 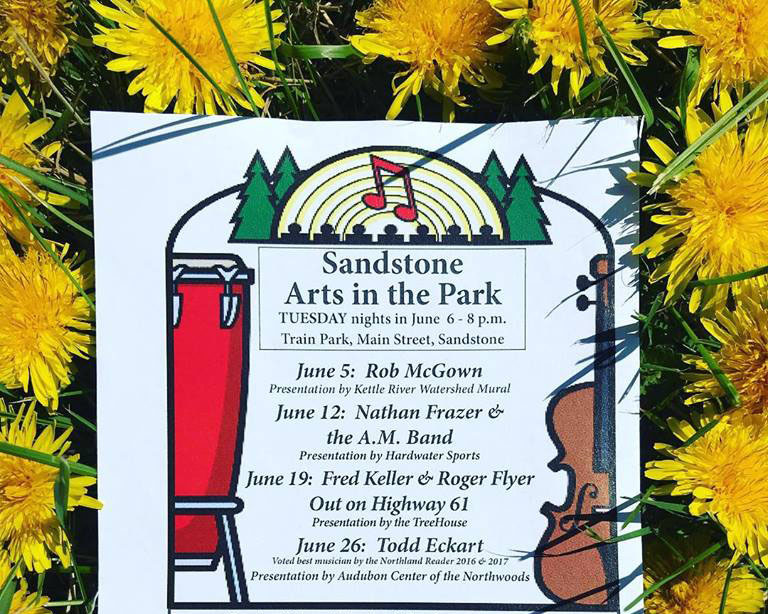 Robinson Park in Sandstone Minnesota is where you’ll find the Sandstone Ice Park – the park is open to climbing year round. With over 40 bolted sport routs and a cluster of bouldering problems that offer plenty spring summer and fall climbing opportunities. But it’s in the winter that the park really comes to life with climbers. Robinson Park is open, free of charge to anyone wanting to climb rock or ice. The ice routs are between 20 and 80 feet, with enough ice for 20-30 ropes. Lower angle ice routs have been added over the last couple years giving more access to beginner level climbs. 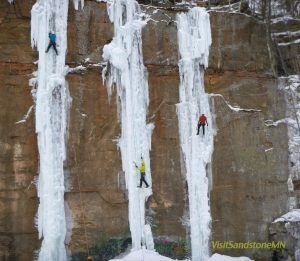 Currently the farming in the Sandstone Ice Park is managed by the Minnesota Climber’s Association. Volunteer climbers and support from the City of Sandstone have made a dream come true. 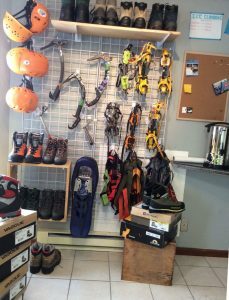 The local guide shop in Sandstone Minnesota, Hard Water Sports, has ice climbing gear available to rent, from ice axes to crampons, boots, helmets and climbing harnesses. 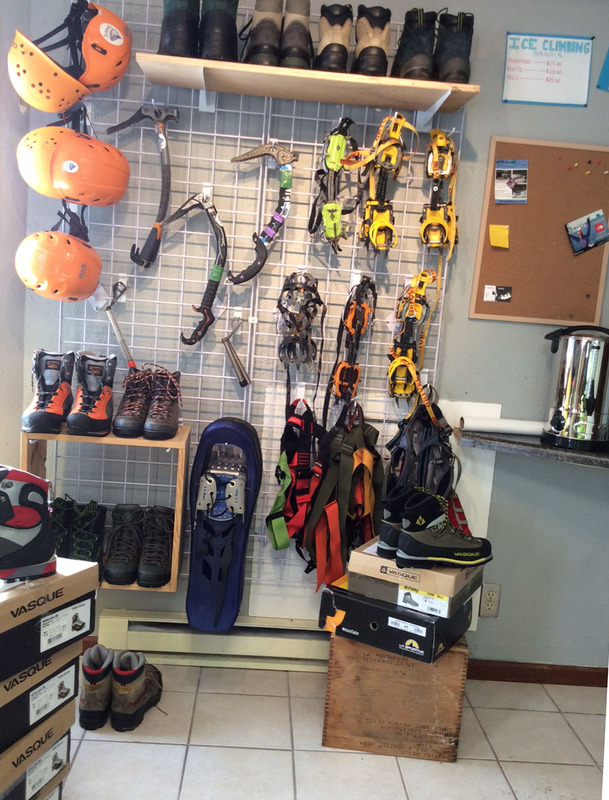 Located right in downtown Sandstone making it super convenient to rent ice climbing gear in Sandstone MN.